Expensive shampoos and condtioners can help give you shiny and lustrous hair, but your diet has a big influence on your hair’s condition, too. If possible, it’s best to get nutrients through food rather than by taking supplements, but sometimes that’s easier said than done. Changing your eating habits has so many benefits, and if you keep up with those good habits, you can really see differences in the way you look and feel. Nuts are a great snack, and what’s in them can help beautify your hair. For instance, the zinc in Brazil nuts can help with scalp health–and a healthy scalp means healthy hair. If you notice that you’re shedding more than usual, it could be a zinc deficiency. Walnuts, cashews and pecans also contain significant amounts of zinc. 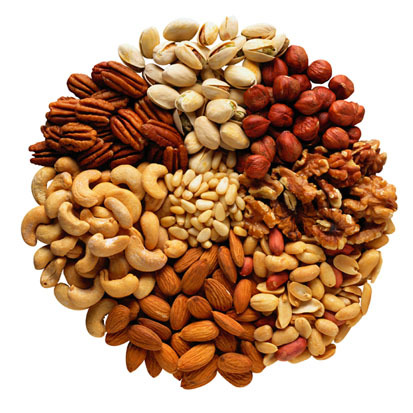 Almost all nuts contain omega-3 fatty acids, too. Lean meats like chicken and turkey are good sources of protein and iron. If your diet lacks iron, this may cause you to have brittle hair that breaks off, making it seem thinner. An iron deficiency can also make your hair change color, and go grey prematurely. Eggs are also a good source of protein, wuth the added bonus of biotin and B-12, which help with hair, skin and nails. 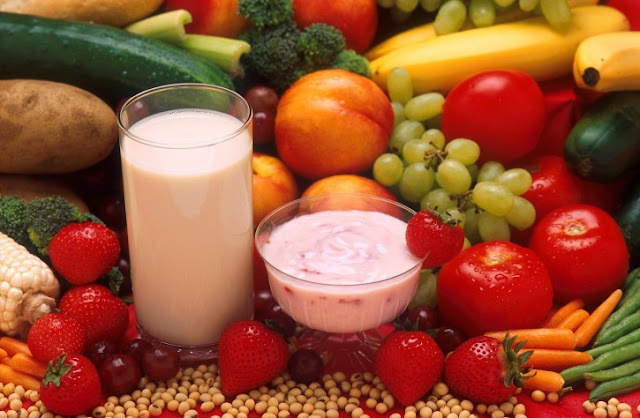 Milk and yogurt are packed with calcium, which aids with hair growth. Just like it does with bones, calcium helps keep hair strong. 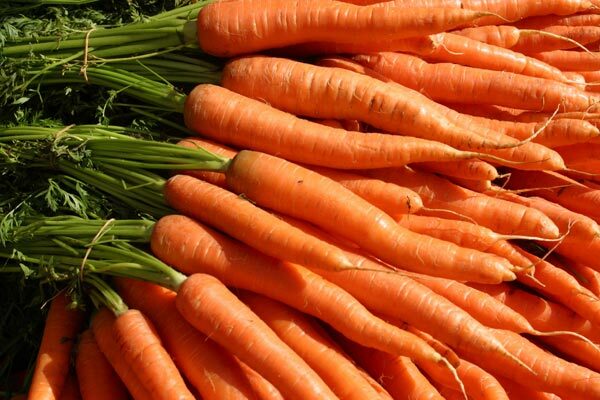 Vitamin A is good for hair and scalp, and carrots are a great way to add Vitamin A to your diet. Swiss chard and spinach are also good sources. Add salmon to your diet if you’d like to see shiny and sleek hair. Salmon has the trifecta of nuritens: omega-3 fatty acids, zinc and Vitamin B-12. If you notice that your hair is looking dull, flat and lifeless, try to add some salmon to your diet. Even if you don’t follow a vegetarian diet, replacing meat with beans in one or two meals a week is a heatlthy alternative. And how can beans benefit you hair? You’ll find protein, biotin, zinc and iron in beans–particularly lentils and kidney beans. Beans are one of the best foods for beautiful hair. Food can really influence the appearance of your hair. You can see shiny and thick hair just by adding a few food to your diet. Any food that has high instances of protein, zinc, iron or omega-3 fatty acids witll help keep your tresses looking beautiful! 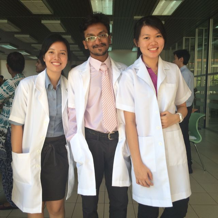 P/s: Too many delayed posts in my draft. No inspiration to blog at all. Sigh. Yeah, I've been eating carrots and drinking some fruit juices out of nuts but still not enough, so what I did is to take this zinc supplement and continue eating those food you said on this pretty cool article! After 2 months I did see some changes that my hair grows fully and silky black. I'm lovin it so much. Is this what you eat everyday Janice?